Adam is a near-lifelong Alaskan who was raised in Anchorage. After obtaining his bachelor's degree in finance and business from Eastern Washington University, Adam worked several years as a branch manager for a full-service Alaskan financial institution. 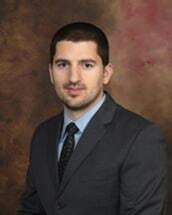 After graduating with top honors from Suffolk University Law School in Boston, Massachusetts, Adam returned to Alaska where he worked briefly as an attorney for another local litigation defense law firm. Adam has been with Guess & Rudd since 2015. Adam's practice focuses primarily on litigation defense, banking (in particular lender liability defense), business and commercial law, ANCSA law, estate planning and probate, oil and gas pipelines, and other oil and gas matters. Outside of work, Adam enjoys skiing, ice hockey, international travel, fishing, bicycle commuting, motorcycles, and enjoying the outdoors. Oil & Gas Annual Reports, American Bar Association, Section of Environment, Energy, and Resources Law, 2017-2018. Water Resources Committee Reports, The Year in Review, American Bar Association, Section of Environment, Energy, and Resources Law, 2017-2018.